The nose's many delicate components come together like puzzle pieces to create a very complex three-dimensional organ. 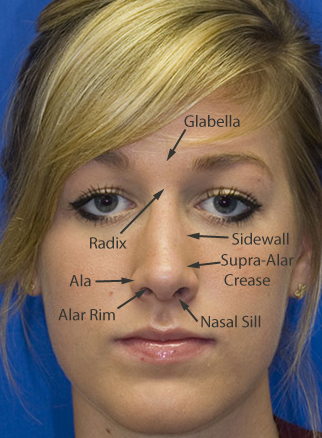 The following figures will outline some of the anatomy of the nose. You can also go to the Rhinoplasty Glossary section to read about additional rhinoplasty terminology. The following photographs of one of Dr. Lamperti's rhinoplasty patients (shown after surgery) illustrate the various topographic features of the nose in both frontal and profile views. 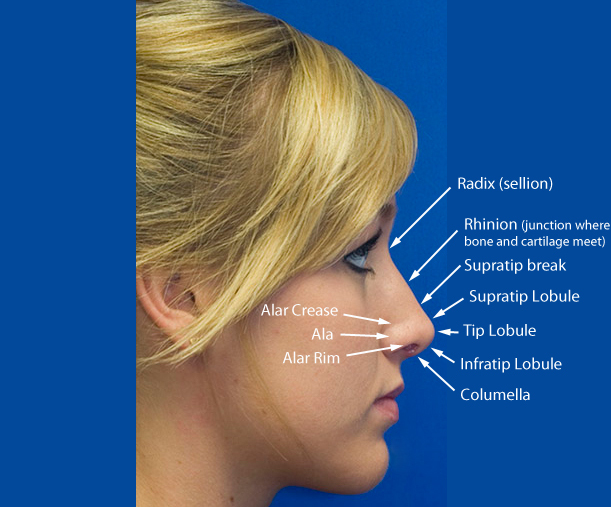 This profile photograph shows some additional anatomic landmarks such as the sellion (radix), rhinion, supratip break, supratip lobule, tip lobule, infratip lobule, columella, alar crease, ala, and alar rim. 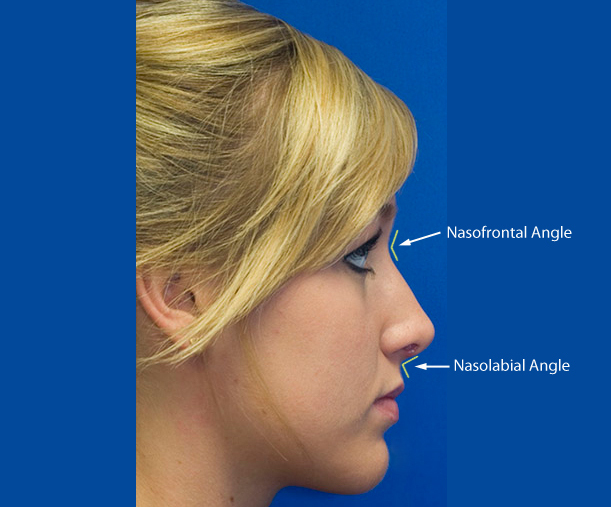 The profile photograph below shows the location of the nasofrontal angle and nasolabial angle. These schematics show the nasal cartilage and nasal bone anatomy that is found under the skin.